Price chart does not include imprint. 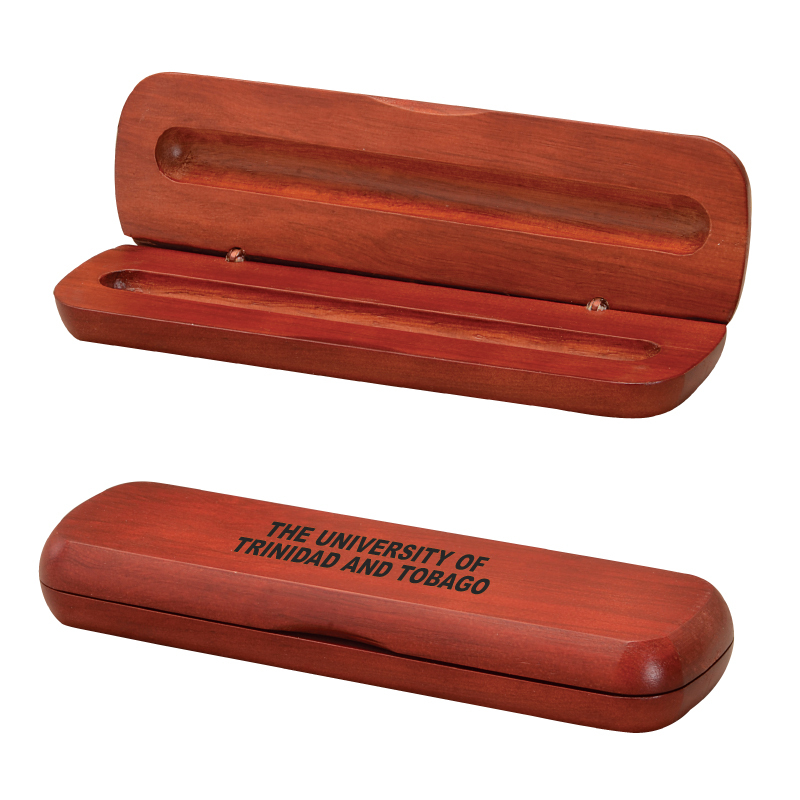 Product Details: Rosewood gift box. Holds 1 pen, pencil, or letter opener (not included). Handcrafted, thus the consistency of the wood grain, stain, and color may vary. Paper sleeve included. Pricing includes no imprint. For black filled engraving on box, please add $1.00/v and additional setup. Pricing: Price chart does not include imprint. Approx. Imprint Size: 4 1/2" x 1 1/2"